Pacific City, Oregon (June 20, 2018)—The PeliCAN has landed! Pelican Brewing Company debuts its first-ever canned beer with the release of Hazy Rock Juicy IPA, an unconventional twist on the style with a fruity, soft, round character. 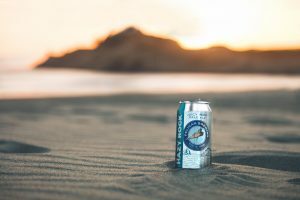 Pelican’s new seasonal release showcases a fun, drinkable, delicious beer perfect for summertime refreshment at the beach. Hazy Rock, which debuts in the craft beer aisle in early July, will be available in 6-pack, 12 oz. cans, and on-tap. Like all Pelican beers, Hazy Rock is born at the beach by a team of award-winning craft beer makers known for brewing styles of beer that they themselves love to drink. Cheers!